Phablet with high-end specification for just under $120 ? what are you talking- Is it really possible ? well, Yes! We’ve found a deal for Blackview Alife P1 Pro Phablet which is actually a promotional deal running on Everbuying.net only for this week. Actually the deal was started on Monday (August 3rd) on which the Phablet was sold to a very low price of under $100. Exactly for $99.99 and there were few free gifts like selfie stick, 32GB microSD card, Cell phone cover etc along with the phone. As of now we’re all actually getting near to weekend. Still there’s a chance to get the Alife P1 Pro Phablet for less than $120. Before going any further details over the deal let’s just take a look over its high-end specifications. Alife P1 Pro Phablet sports a 5.5 inch HD IPS display with a screen resolution of 1280 x 720 pixels. 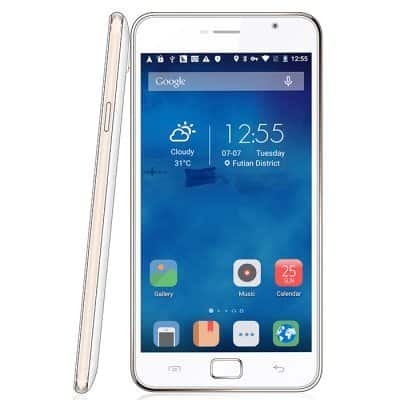 It is powered by a 1GHz Quad Core processor embedded on MediaTek MTK6735 Chipset. For GPU, Mail-T720 is equipped. The phone runs on Android’s latest 5.1 (Lollipop). It has 2GB of RAM & an internal memory of 16GB which makes this phablet to be in the same line of high-end phablets. As we’ve already said it is an high-end phablet, even on the camera department we can see the high-end specification. It sports a 13MP primary camera and 5MP front-facing camera. Connectivity features like 4G, 3G, GPS, wifi, Bluetooth etc are readily available. Under the hood it sports a 3000mAh removable battery which has good battery life. FingerPrint recognition: Most of the smartphones and Phablets are incorporating this new technology. Already iPhone has it then why not other branded smartphones ? Hopefully you’ve not forgot about the deal while checking out these high-end specifications. Now it’s time for the deal alert. The deal was started on Monday and I’ve already stated about its price and free accessories with it, but let me speak about the current deal now. The regular price of this Phablet is around $183 but as I told there’s a promotional offer running on Everbuying.net & they’re offering 35% discount. The deal price is exactly $119.99 which is exactly less than $120. Previous articleMeizu M2 Note, can it beat Yu Yureka Plus and Lenovo K3 Note?